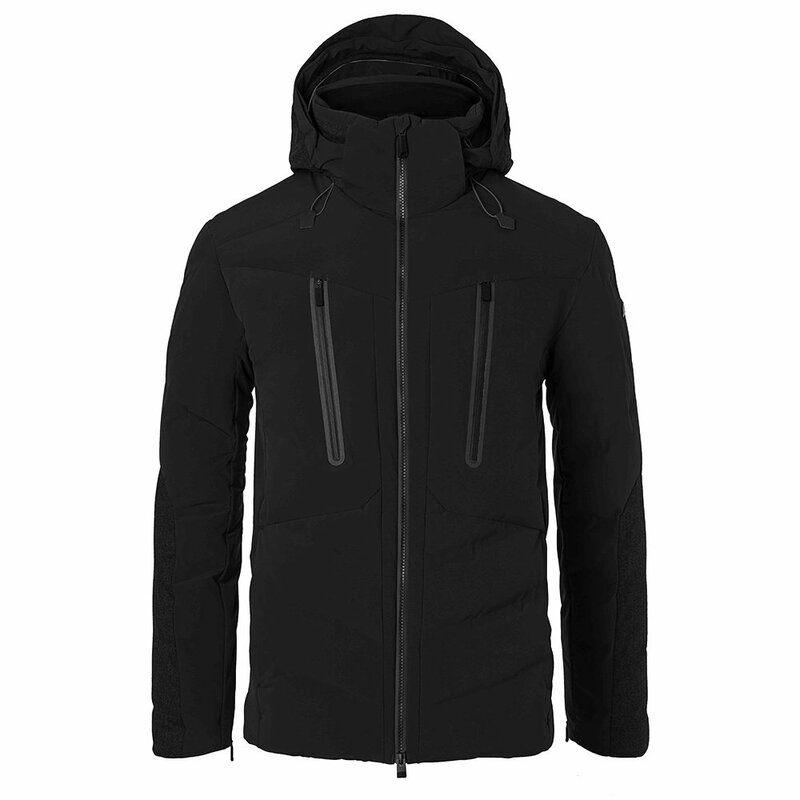 Up to the Dolomites and down to Milan, the KJUS Linard Down Ski Jacket is as sophisticated and stylish as it is ski-ready. This high-performance jacket combines a 4-way stretch 20K/20K waterproof-breathable shell fabric with fine, soft Italian wool and 730-fill down. Result - you look and feel like a million bucks, even in the most trying winter conditions. The detachable hood is designed specifically for one-handed adjustment, making it easy to operate. The detachable snow gaiter keeps snow and cold sealed out. "what are the snaps on the snow guard for?" "Thank you for your inquiry. The snaps are for the closure on the front of the removable powder skirt. We hope this information helps! "